Since I moved from California several years ago, I have been working on making Mexican food that is just as good, or better than restaurant quality. Now, it seems the only benefits to eating out are that I don’t have to cook and clean. Which is great sometimes, but as far as the food goes, I like my versions just as much. 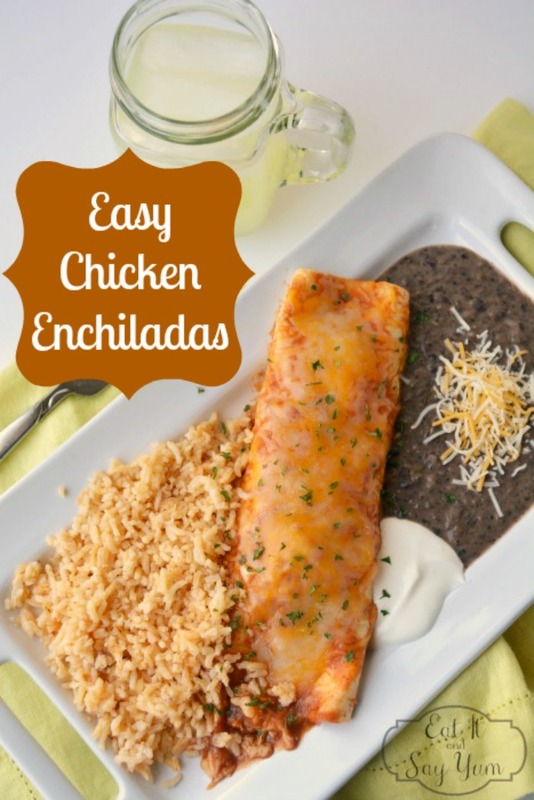 With that being said, I want to share my Chicken Enchiladas recipe with you. 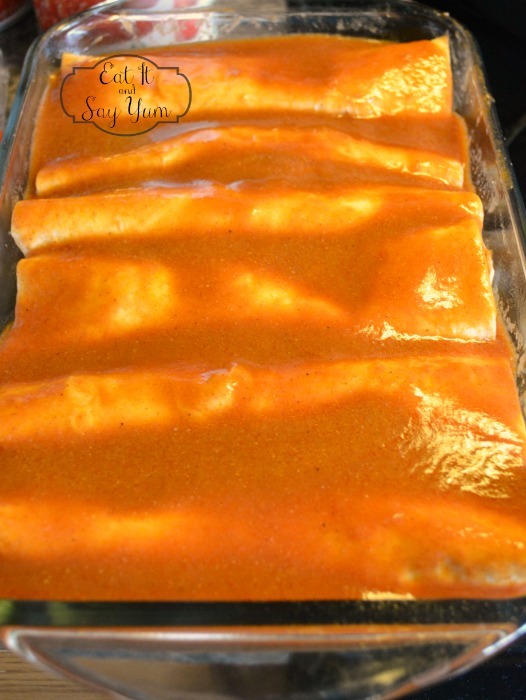 On my blog last week I posted my Homemade Red Enchilada Sauce, and I use that recipe for the sauce with these enchiladas. Whether you use my recipe for the Enchilada Sauce or you use a canned version, the process for the enchiladas is the same. I put a cup or two of the sauce in a pie pan, one big enough to fit the tortilla in it. Then I dip the tortilla in the sauce in the pie pan and coat both sides with sauce. I fill one tortilla at a time, rolling it up and sliding to the end of the pan, before I start the next tortilla. Fill your pan with the enchiladas and then pour more sauce over the top. Make sure to cover all surfaces of the tortilla. You can then sprinkle the top with cheese and bake, or cover with foil to have ready to bake later. 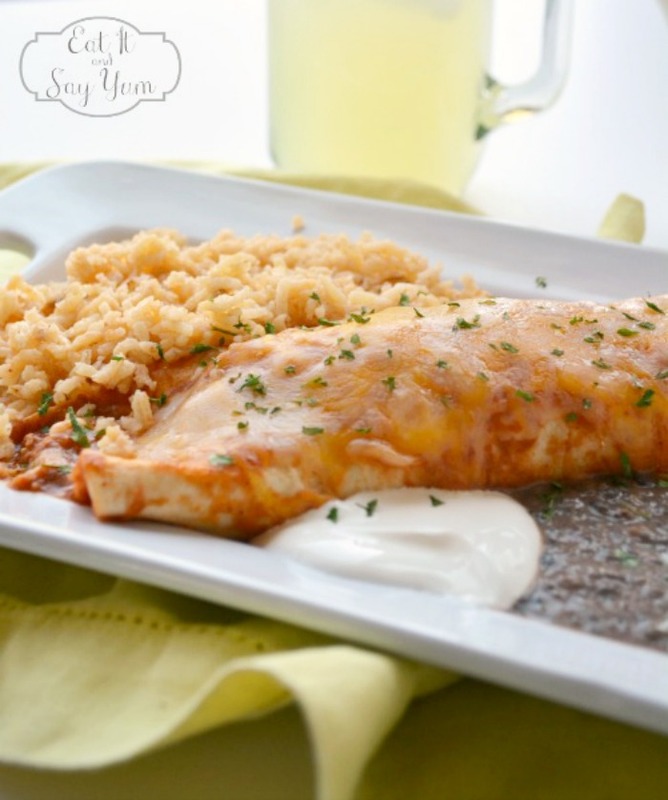 In fact these enchiladas are a great dinner to make ahead of time and stick in your fridge until you are ready for them. They bake up in 20-30 minutes, and are still good even if they sat in the fridge for a while. 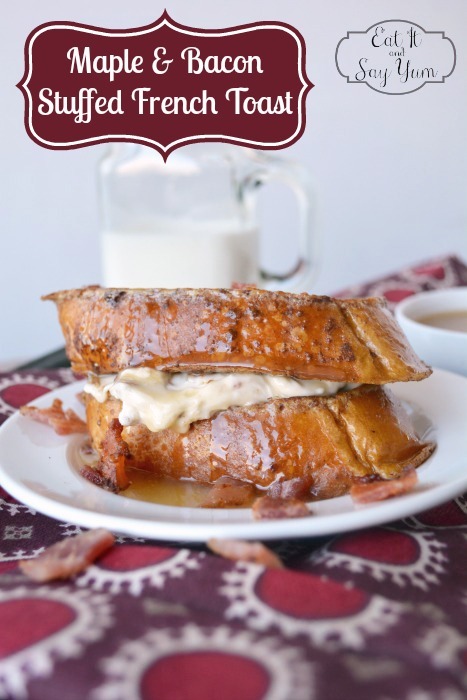 If you were needing an idea of a meal to take to someone (maybe they had a baby, or a sick family member, or could just use a pick-me-up!) these would be great! Just leave instructions to pop them in the oven until hot and bubbly. Bring along a side of rice and beans, or a salad and you’ve got a whole meal. 1. In a large pan over medium-high heat, heat/ cook the chopped chicken. Add all the seasonings and stir well to distribute the flavors. 2. 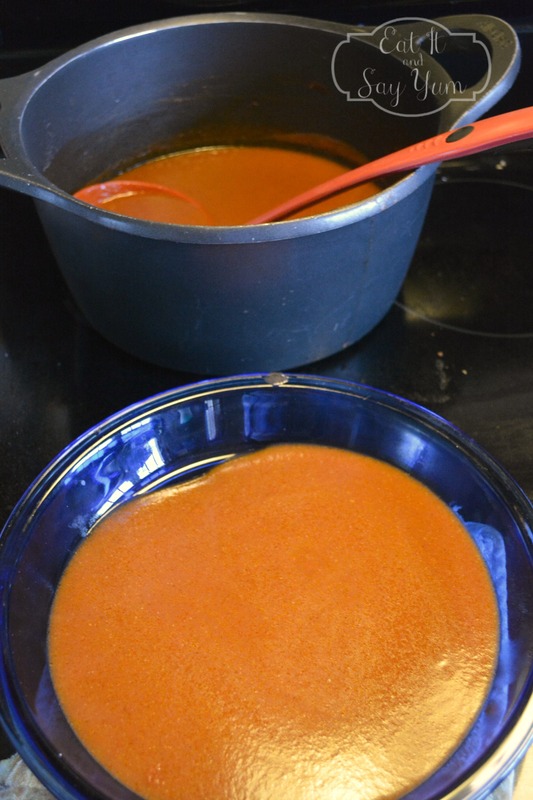 Pour 1-2 cups of the enchilada sauce in a large pie pan. Dip a tortilla in the sauce and coat both sides. Place the coated tortilla in a 9×13, greased baking dish. 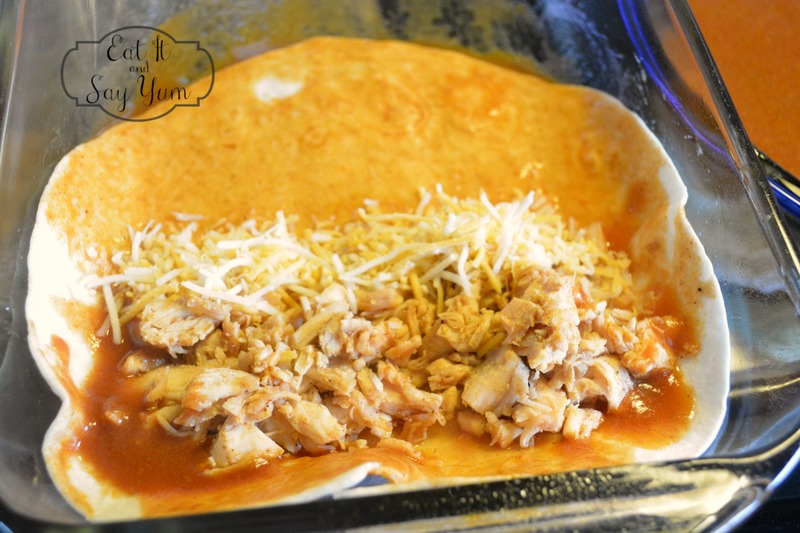 Place about 1/3 cup of the chicken in the tortilla, top the chicken with a sprinkle of cheese. Roll the tortilla shut and slide it to the end of the pan. Repeat this process with the next tortillas, filling then rolling one at a time. 3. Pour sauce over all the tortillas in the pan. 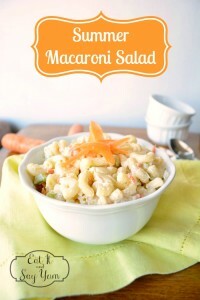 Sprinkle remaining cheese over the sauce and bake at 350 degrees for 20-25 minutes, or until hot and bubbly. If saving the enchiladas for later, pour the sauce over top, and cover with foil until ready to bake. Add the cheese once you remove the foil. 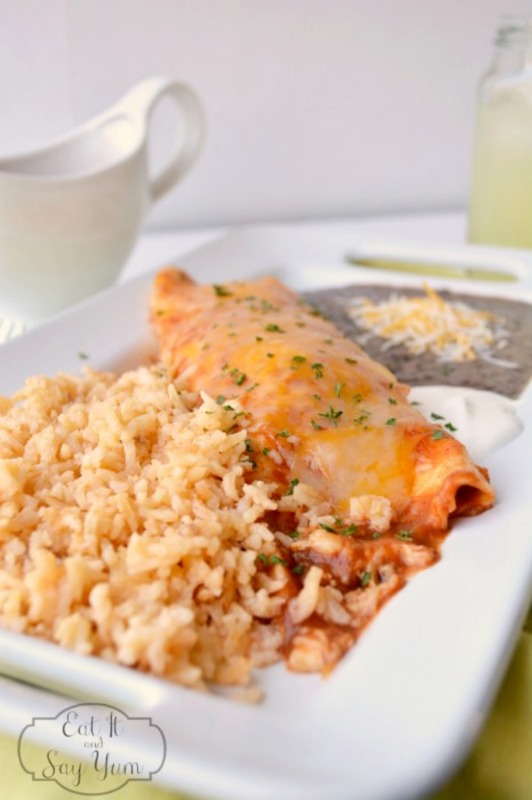 Don’t forget the Red Enchilada Sauce and come visit me on Facebook. I’d love to hear from you on there.